Frank Friday | Small, but valuable. Sometimes I post a bunch of things about delicious food and pretty flowers and tasty cocktails, and I think, “This is not my life.” Sure, I ate those foods and have beautiful flowers in the yard/house, but is it really a representative sample? So to honor the “representative sample” concept, it’s Frank Friday. For starters, we have an incontinent coffeemaker. I clean it up in the evening, and it greets me almost every day with a sad little coffee puddle. 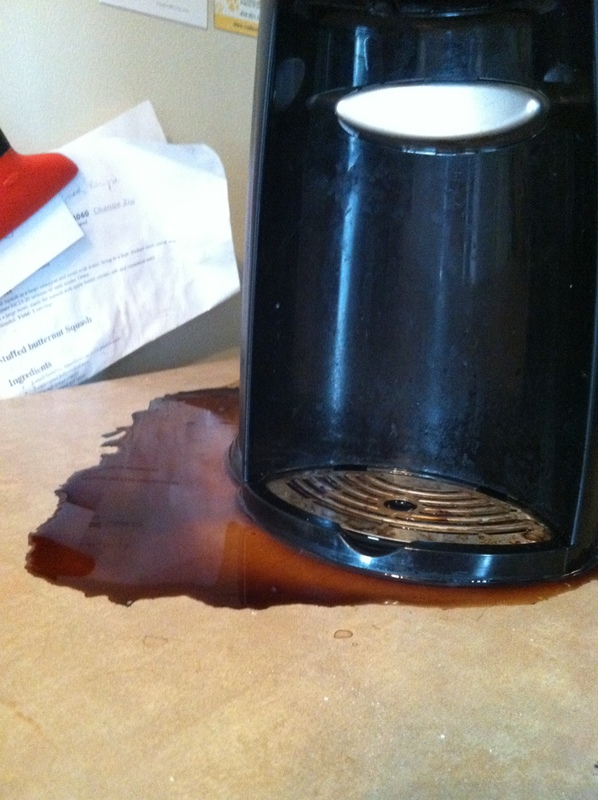 Poor coffeemaker. It has good days and bad days, but mostly bad days. Instead of getting the broom or vacuum out, I went for some protective footwear. (In this case, protective footwear is called a flip flop, because how much protection do you really need from a few drywall particles?) 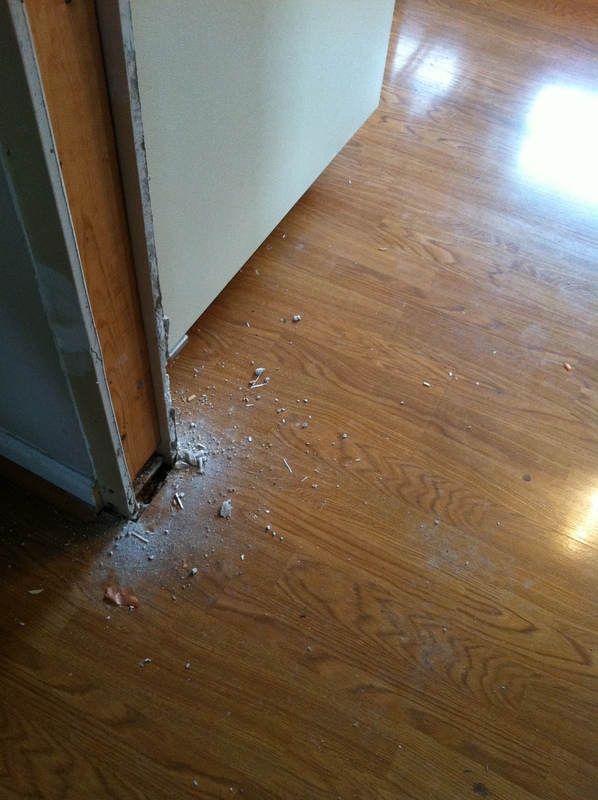 I know I should care about the state of the floors, but I really don’t. I just feel guilty about not caring. Not quite the same as caring. Last but not least, it’s almost time for a warm holiday weekend, and I did promise franks. While I have not tried this version of the classic summer hot dog, I can pretty much guarantee I would love it. 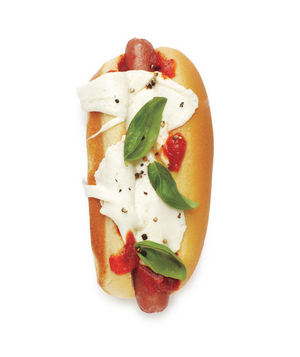 It’s from Real Simple, and you basically just throw some marinara sauce, fresh mozzarella, and fresh basil on top of a plain old hot dog. I might even switch out the marinara for a few tomato slices (or put them both on the dog… oooh, aaah) and call it perfection.